ID holographic overlays help prevent against copying and duplicating the card. 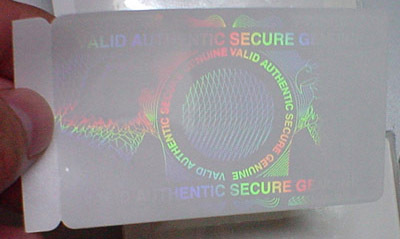 ID Card Holograms also enhance the security of the ID cards. Since an ID hologram is applied over the ID card, they help to prevent alterations made to the ID card. ID cardhologram overlays enhance visual identification of a card. 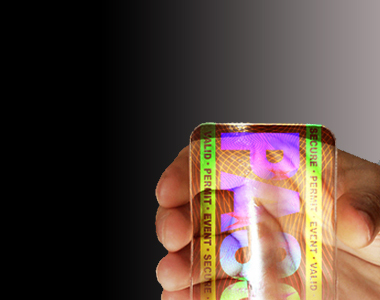 Lastly, ID holograms and transparent overlays extend the life of the card by protecting against wear and abrasions. The ID overlays are available with either full spectrum holographic designs or as a simple clear non-holographic protective finish. 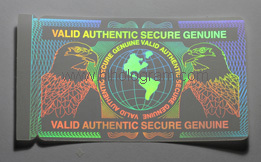 All of our ID holograms are designed to fit ID cards perfectly. The full spectrum ID hologram’s image can only be seen at certain viewing angles, which allows visibility of the underlying ID card information. We offer protective transparent ID overlays without holographic images. These protective overlays protect the surface of ID cards. Both our transparent and holographic overlays are compatible with both our laminated ID cards using butterfly pouches and Teslin paper, as well as cards printed using a PVC ID card printer. We are also pleased to offer many of our popular holographic overlay designs with ultra -violet ink. 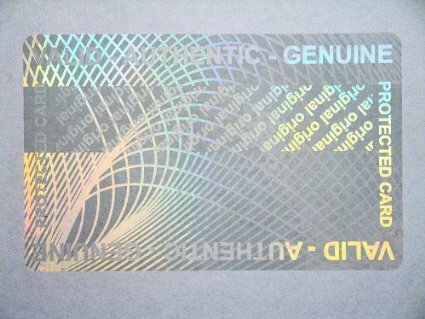 Our UV ink holograms have the same holographic image as the standard holograms, except they have a UV imprint that is completely invisible under normal light. Only under a blacklight, or UV led is the UV image visible. UV ink is ideal for situations that require an additional layer of security, or for identification in dark venues.